This free report provides a 3 step strategy to help you access the hidden jobs market, and we’ll supplement this with weekly career tips emails, packed with value. As a bonus we’ll send you our unique recruiter research report, which contains further insights to help with your job search. Your email and registration are confidential and are never shared. How can you access this 70-80% of unadvertised jobs as an executive candidate? Given the choice, most employers prefer to fill positions without advertising; it saves both money and time. The proportion of all jobs that are “hidden” has risen with the advent of LinkedIn, employer referral schemes, more aggressive talent retention strategies and entire in-house recruitment teams. This trend looks set to continue. In our report, we recommend three key ways to make the hidden jobs market work for you. To get your copy just use the form above! But first… What is the hidden jobs market? As an experienced hidden jobs finder, I have spoken extensively about the benefits of focusing on personal branding and the hidden jobs market and its important that you know how to find hidden jobs by navigating it efficiently. I still see many instances where executives are ignoring this, or paying little attention to the potential. So, I’d like to revisit this subject and hope you’ll take away some insights to put into action when finding hidden jobs in your job search. We provide full insight for our clients within our career coaching and outplacement support. There are jobs that you see advertised and that are visible to everyone in the marketplace, then there is everything else. These are the opportunities that you are probably missing out on. These jobs are often never advertised on job boards or social media. The 75% of unadvertised jobs is commonly referred to as the hidden job market which is why you could do with a hidden jobs finder if you’re in need of assistance. This percentage is increased when you are a senior executive. If you are spending your days scouring job portals in search of your dream job, you are greatly missing out. There are many good opportunities out there and always many more than you actually see. This is because a lot of companies, especially small ones, prefer not to advertise their jobs. Advertising is expensive and time consuming, and these companies do not look forward to sorting through hundreds of CVs. Additionally, the managers who are often responsible for filling vacancies typically believe that the most suitable candidates are people already working for them. As such, dedicating a small fraction of your time to unearth unadvertised vacancies will result in you finding a wider range of opportunities than advertised vacancies alone. Companies which have more interested people than the number of vacancies available can fill these pretty quickly from direct approaches, or internal networks. If you can access a job before it’s advertised, there will be less competition for you as a senior executive. A high proportion of jobs that are never advertised are filled by people who contact the employer or hiring manager directly. Being persistent will pay off greatly when finding hidden jobs in the hidden jobs market. Both time and effort are required. Sending emails about a potential job will not be as effective in 2017. Everyone is sending emails and an email is very easy to ignore. A phone call, however is a bit more difficult to ignore. You may even need to call two or three times. Do you think you have the drive that is required? The tips below will help get you started. Read news articles and press releases. Stay up to date on the companies’ social media. The more information you have the better your chances. You are more likely to be taken seriously if you understand what the company is doing, what differentiates it from similar companies, and what jobs there are likely to be. As a senior executive, you cannot be shy when actively job hunting (as well as selling yourself). This is even more true when attempting to tap into the hidden job market. Networking is key and is a great hidden jobs finder. In today’s job market, you get a job by talking to people. While I suggest an element of being selective, tell everyone and anyone who will listen what you are looking for. Get into the habit of talking to people about the job you’re pursuing. Be clear about what you want and ask them to let you know if they hear of anything. There may be some surprising connections resulting. Join and contribute to professional groups on LinkedIn. It’s important to get your LinkedIn profile up to scratch and use this vast professional network to identify possible leads and contacts. Personal recommendation by a respected person greatly increases your chances of receiving a job offer. Think of yourself as a product you need to sell. Make it hard for the employer to resist your approach. You could have interests, skills or prior experience which may be attractive to your target company. 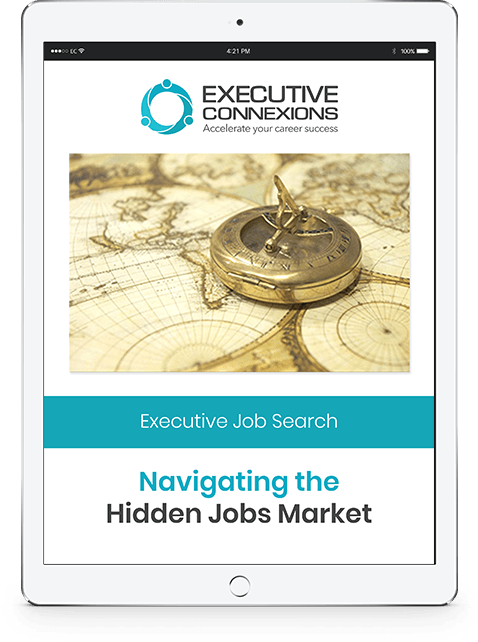 One of the most successful ways to put yourself in front of multiple potential employers is with the help of an executive career coach with experience as a hidden jobs finder. With an executive career coach, you not only receive support and direction but also accountability to ensure that you are taking the right steps towards achieving your career goals. A professional coach can also act as a reputable recommendation for you because they are often hired by companies to source candidates for their open positions. If you are able to form a relationship with an executive career coach in your target industry, they may be an excellent ongoing source of job leads. If you need help on how to find hidden jobs, contact us today to arrange a conversation. With our free Hidden Jobs report, you can learn tricks and tips to help you achieve career success.